Clancy Goes to France is finished! The journey which began with a feeling of desperation when I was unable to help my father has taken me on a twisty and bumpy road. I have almost given up at times but now, the book is published. I’ve learned so much along the way and am looking forward to finally sharing our memories with you. I smile when I read the pages – even the ones where I was finding it hard and contemplated giving up, because those are the ones that help me to understand that changing your frame of mind and accepting change makes all the difference. Let’s not forget the reason the trip came about though, my father and his poor health. More than anything being able to hand him a copy of the book will make this all worth while and it is finally within reach. 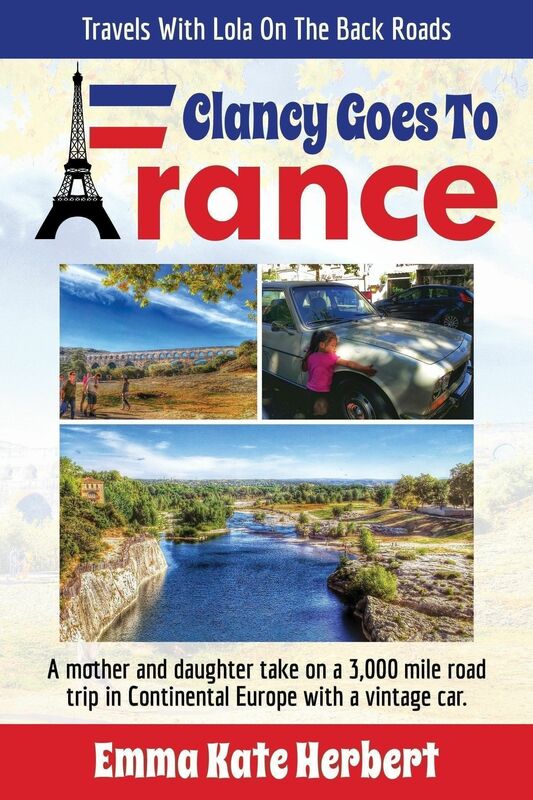 I’ve said it before, driving 3,000 miles was only the start of the challenge – writing this book and making it right has been an entirely separate journey and still ahead is the task of selling it to raise money for MS! One thing that is for sure – I completely understand why my dad loves driving in France so much. This experience has given me the inspiration to continue exploring by road. Many of the places we stopped at were whistle stops and I will return – I remember the urge to turn off and head up across the Pyrenees to Andorra but having to stick to the plan. The good news is there will be a next time. If you would like to purchase the book the easiest option is to visit Amazon by clicking here . By visiting that page you will also be able to read the description and read a sample of the first few chapters. The paperback is due to be published tomorrow, on the 28th May 2015 so I will share the link once it is live. If you would like to pre-order a signed copy you can do so here – the price includes postage from the UK whereas the price on Amazon and other outlets will be £7.99 plus their shipping costs. Many thanks for your ongoing support as I continue to strive for a simple yet rewarding life – one which through my writing I am able to support the causes I am passionate about whilst spending my time with Lola. Please, if you have any questions email me or comment below and I will answer as soon as possible.